The 5 Series. Even the name carries its own weight in the executive car world. Up until recently, the big German sausage was the end all when it came to the mid-sized luxury market, but something was missing from the most recent models. Something that was a big reason as to why the 5 Series was held so high above the rest...striking styling. However, I think it’s back...let me explain why. Just disregard the fact that these are M5s. When looking at all the 5 Series models in a lineup, you notice something from the E12 to the E39. The styling is understated, it’s clean and simple. Not too plain, but not too gaudy. The styling really peaked with the E39, as we pretty much can all agree. But then Bangle came around and we got the E60, and while it’s finally starting to look handsome in retrospect, it’s an understatement to say that it was a drastic change. 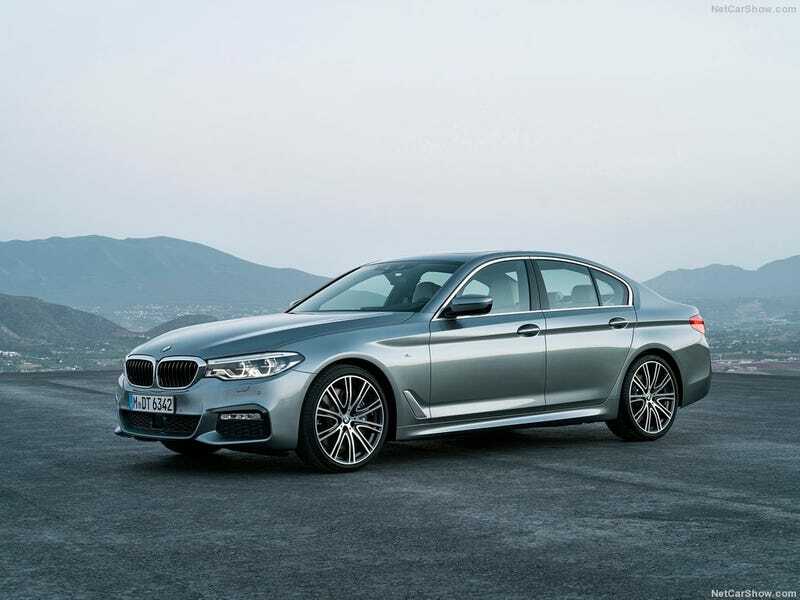 What makes this new 5 Series different from the two most recent models is that it’s the first 5 Series that actually feels like it’s going back to the old ways. Still don’t believe me? Let me show you what I mean by showing you the E60 and F10. The E60 was bulbous, wild with its Dame Edna headlights and humped up rear-end. The F10 gained more bulb but toned down the E60's wild cues, becoming an androgynous blob of a car. Now look at the G30. Wild styling cues have been all but erased, and the blobbiness has been toned down to a more defined, elegant shape. It’s clean...it’s understated...remind you of anything? Yes, while it’s safe to say that BMW will never make a car as striking as the E39, they’re at least making progress back to the good old days. The 5 Series is not gaudy like your aunt at a Christmas party anymore, it’s now got an air of class again, like a gentleman in a fine suit. Is it the most beautiful in its segment? Not quite, but I like it. I’d buy one. But not after looking at a few E39s.